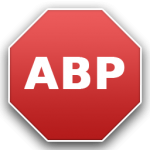 Eager to know what is Google Chrome Adblock plus (ABP)? Scroll down for some healthy knowledge where how peacefully you can manage to surf internet without any advertisement. For surfing web without any annoyances of ads Google Chrome is best because of Chrome advert blocker. Adblock Plus is an open source and content filtering ad blocking extension especially for Google Chrome. It is one of the forked and latest versions of Adblock. Through this user can prevent various page elements and thus block advertisements from being displayed and downloaded. Adblock Plus is the most widely popular extension of Google Chrome with over 8 million users written right from the ground to optimized level for Chrome. This extension of Google Chrome is totally a different approach than other comparable website like chrome web-store. Adblock Plugin in Google Chrome will help you to block HTTP requests as per the source address and also enables the blocking in scripts, Flash and iframes. The main purpose of google chrome adblock plus plugin is to remove all annoying unknown ads form the websites which helps to make your website attractive and clean. You will notice that after the installation of this particular software in your computer you will remove all banners, overlays and popups automatically. Thus this enables all website to achieve ad-free traffic. Adblock Plus help Google Chrome browser to surf faster than any other browsers without any hindrance and annoyances. By the help of google chrome adblock plus plugin, you can even block ads in Facebook, Twitter, Hulu etc. which displays its superiority in blocking ads. It is an automated process which you can activate just by clicking ‘add to chrome’, now go to your favorite website and notice the unavailability of ads. For the safari user the Safari vision is also available in safariadblock.com. There are various versions of Adblock Plus Plugin is available just choose your required one on the basis of the requirement of blocking ads that you want to get. Adblock runs over each and every tab on your browser, don’t worry it doesn’t look for your personal data. Is it just awesome! 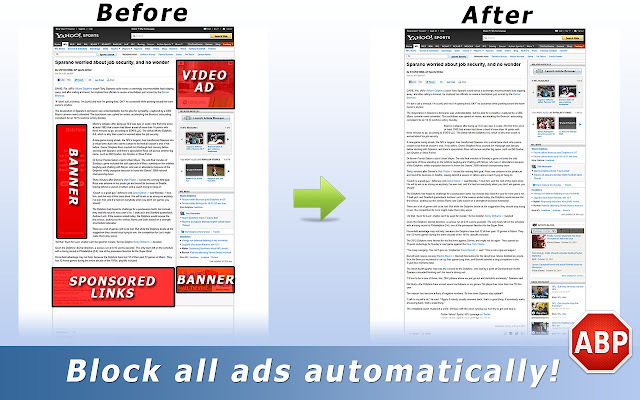 Enjoy accessing web freely without unnecessary ads with your Google Chrome Adblock Plus Plugin. It has several advance features which you will not get in other browsers. So why are you waiting for download it today to get heckles surfing of internet. Nice!, this tool helps to improve the web page load and to make the website looks presentable. Thanks for this useful info.